Start your day on an uplifting note with Rise by de Mamiel. A convenient rollerball bottle makes boosting feelings of vitality and energy a breeze. Milk thistle and jojoba oils combine with specifically targeted herbs, like maca, ashwaganda, and schizandra, to lend a sense of revitalization to tired body and mind. Carefully chosen essential oils of water mint and thyme make the mind feel clear and calm. Especially beneficial after a sleepless night, this aromatic blend may be used anytime you’d like an awakened sensation. 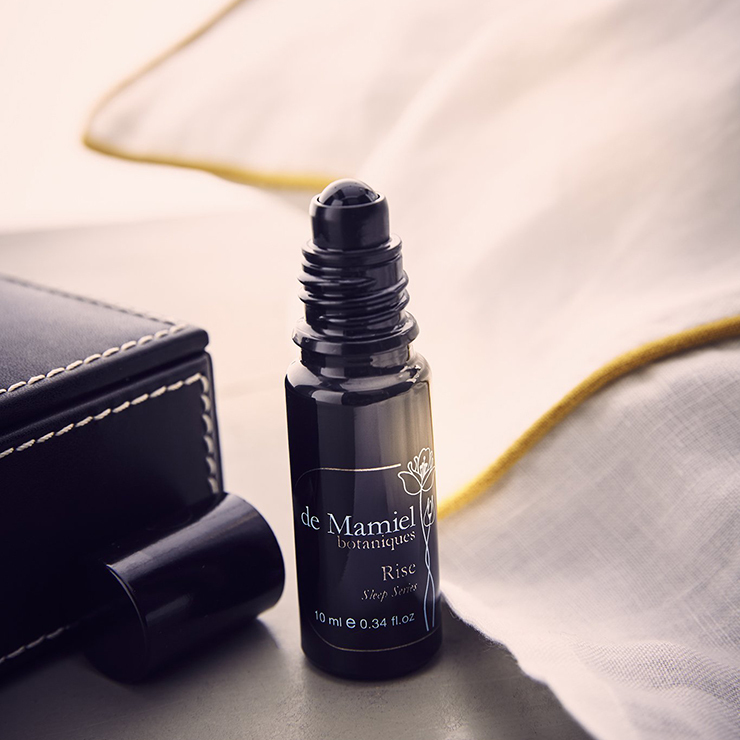 Part of de Mamiel's Sleep series, Rise is perfect for daily application, and especially beneficial after a restless or short night’s sleep. Use this morning essential oil blend to boost feelings of alertness and energy to start your day on the right foot. Apply Rise to palms of hands and gently rub together to release aroma. Hold hands over nose and breathe deeply for at least three breaths. May also be applied to pulse points — insides of wrists, below navel, top of spine, and soles of feet. Apply throughout the day as desired. Please note: It is best to use the oil on a tissue, rather than applying to skin, during pregnancy. Always avoid contact with eyes and sensitive areas, never take internally, and keep out of reach of children.